Style with a Vision :: Is Your Vision Insured? Four years ago, after noticing my eyesight wasn't what it use to be, I broke down and got glasses. I'm a huge chicken when it comes to eye doctors, so you know I was blind as a bat when I finally went through with it. From the beginning of my first year teaching, to the end of the year my vision completely blurred as far as distance goes. From August to May I went from being able to read the board from my desk to not being able to read letters on the white board at all. I was lucky that our insurance covered the doctor appointment, but I had to come out of pocket for my glasses, and it seriously limited my selection. Aside from my own glasses, I've noticed my students over the years often don't have the proper eyewear, or have very cheaply made glasses. All because it's what they could afford. All of the out of pocket eyewear expenses could be avoided with a little vision insurance. We're willing to pay for health, dental, rental, car, and even pet insurance, so why not have vision insurance that covers what matters. VSP individual insurance is affordable and helps you to get the eyewear you want, and let's face it... your glasses are the only fashion statement you can get insurance for. With vision insurance I'm not as in shock when I leave the eye doctor. My first visit I had no idea I would be paying for the visit, lenses, and the frames. It was like being told I had to order my burger with out the combo. I was new to the whole process and my wallet was too. It blew my mind that I was spending hundreds of dollars on glasses, and they weren't even that nice. It was just what was in our price range. Recently glasses have become popular again. 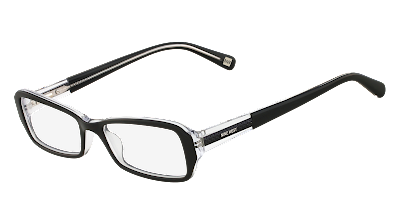 Certain frames are in style, and I've even seen people wearing fake glasses just to get the look. With insurance from VSP Direct you can complete outfit and "insure" your look with great vision insurance. VSP is the only not-for-profit vision care company in the nation, and they've spent the better part of a decade developing great vision plans that are now available in nearly every state. Depending on where you live you could have a vision plan for less than $16 a month in 46 states. Honestly, I paid more overall for my first pair of glasses than a year's worth of insurance from VSP would have cost me. My favorite part of VSP insurance, they don't limit the glasses you can get. They offer dozens of styles to fit the look you want. The first time I bought glasses I had to look at price tags, if I had be insured by VSP at the time I could have been worry free and just picked out the pair that suited me best. So what all does VSP vision insurance cover? Imagine how great this outfit would be with glasses just like the sunglasses! Now I have something really awesome for y'all! - 1 grand prize winner will get $500 Nine West gift card and a free year of Vision Coverage.